Sept. 16, 2015 | LITTLE ROCK – Calling all shoppers! More than 200 shops and restaurants in central and northwest Arkansas will offer discounts Oct. 30 – Nov. 8 in conjunction with Partners Card, a fundraising project of the volunteer auxiliary of the Winthrop P. Rockefeller Cancer Institute at the University of Arkansas for Medical Sciences (UAMS). For 10 days, shoppers and diners who purchase the $50 cards will receive a 20 percent discount at more than 200 area stores and restaurants. 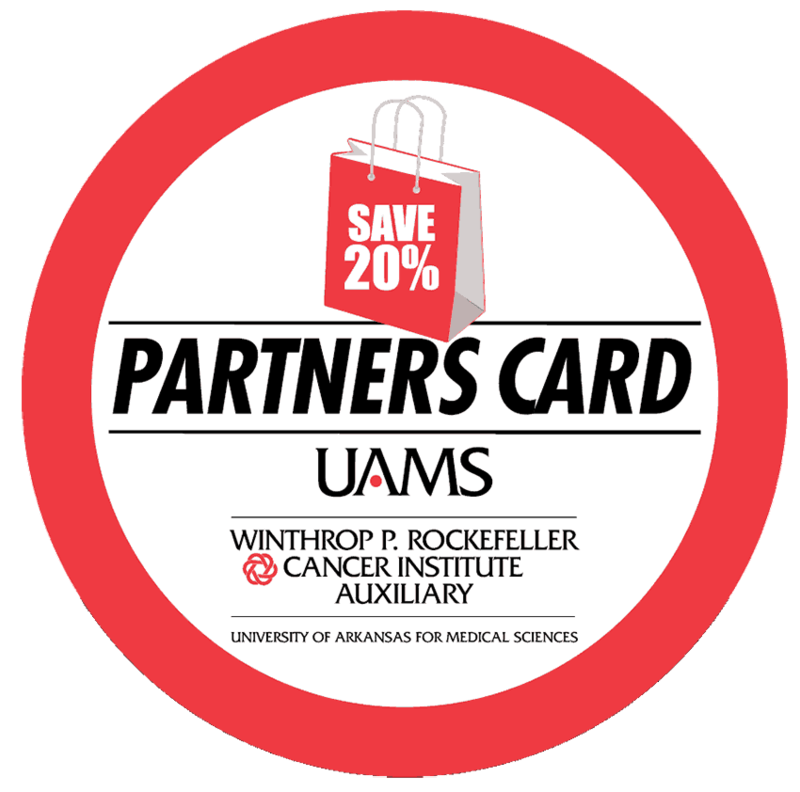 All proceeds from the sale of Partners Cards benefit the Cancer Institute auxiliary and are used to fund projects that support cancer patients in Arkansas. Past projects have included such things as free wigs for patients who have lost their hair due to cancer treatment; housing and transportation assistance; post-mastectomy bras for breast cancer survivors; and cancer screening events. This is the 12th year for the Cancer Institute to offer Partners Card in central Arkansas and the 10th year in the northwest part of the state. During that time, the fundraiser has raised more than $970,000 in central and northwest Arkansas combined.